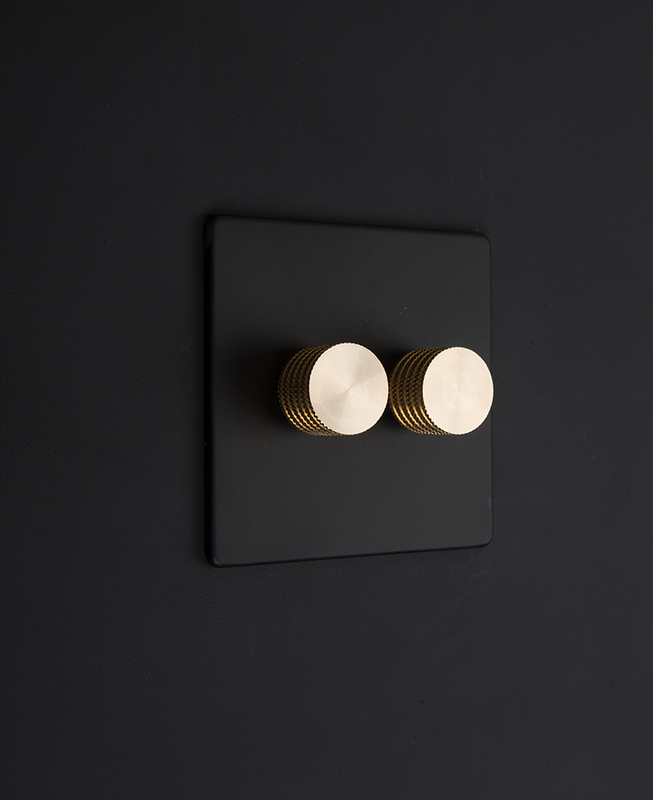 If your motto is “I’ll stop wearing black when someone invents a darker colour” then you’ve just found your perfect double dimmer switch. Sleek, sophisticated, understated and just simply super-cool, it really is the queen of all dimmer switches. 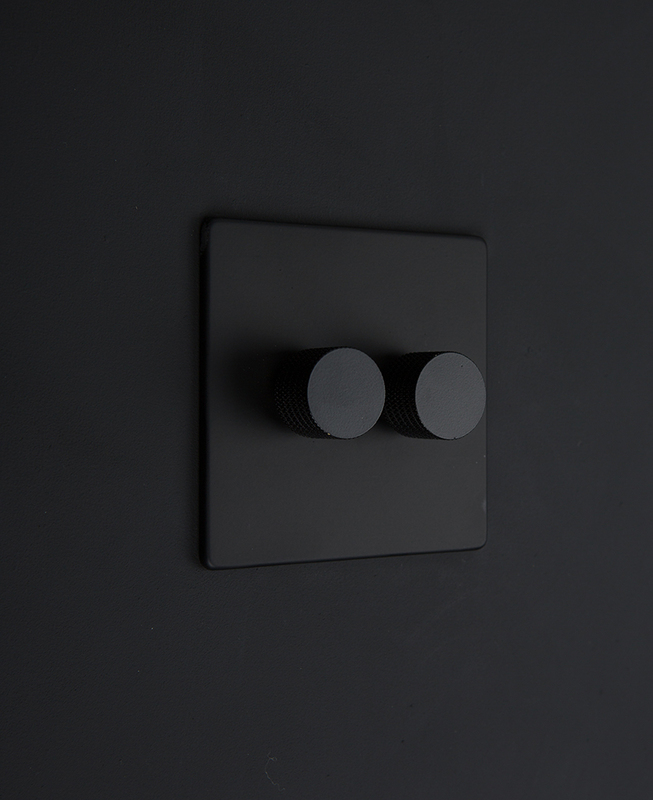 The ultimate in hip hardware, our black double dimmer switch is a superb choice for all kinds of interiors. If your design vibe is sheer simplicity, then this little black number is your new best friend. Keep it sleek and unfussy by choosing the pure black knobs, or mix it up a little with the gold, silver or white knobs. To be honest, it’s going to look awesome whichever you choose. And while we’re talking knobs, can we just take a moment to big up the knurling detail around the edges too. Designed to not only look good, their groovy (in both senses of the word) texture makes them great to grab hold of too. If you’re lucky enough to have any exposed brick, concrete walls, or some fabulously flamboyant wallpaper in your home, then how about topping them off with this beautiful black double dimmer switch. The simplicity of the switch contrasts beautifully with pattern and texture, creating a perfect **fancy-pants word alert** juxtaposition. 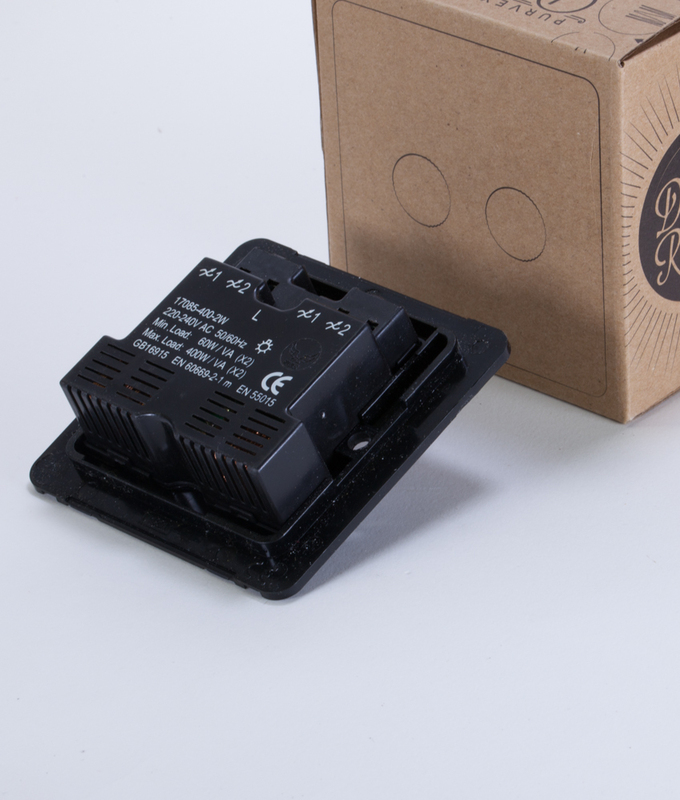 These dimmers have been exclusively designed by us and we’ve overseen every last detail to bring you dimming perfection. 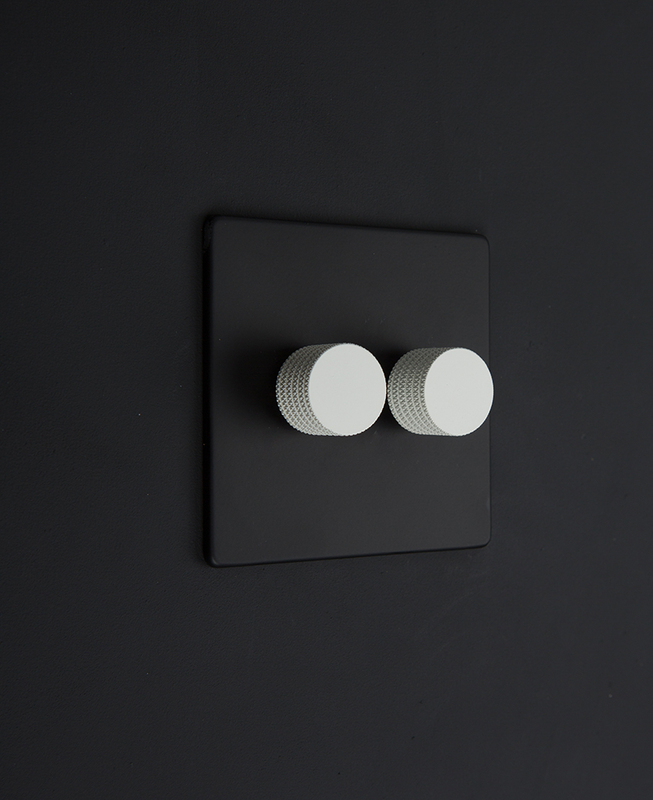 If you love this double dimmer switch, check out the matching single dimmer switch and our other coordinating black light switches and plug sockets. And if you’re feeling baffled by all this switch talk, then have a read of our light switches explained guide and all will be explained!